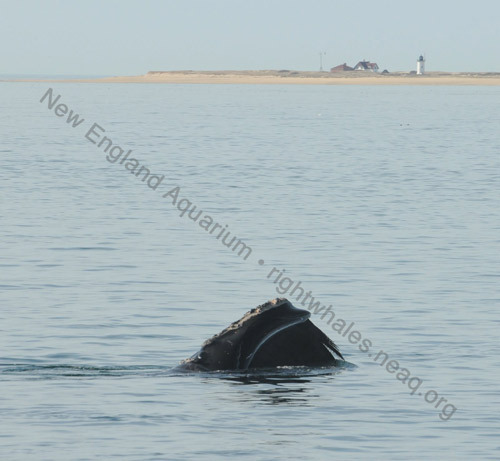 My friend and I flew down Fri evening 4/22 to the Provincetown area to see and photograph some of the Right Whale. 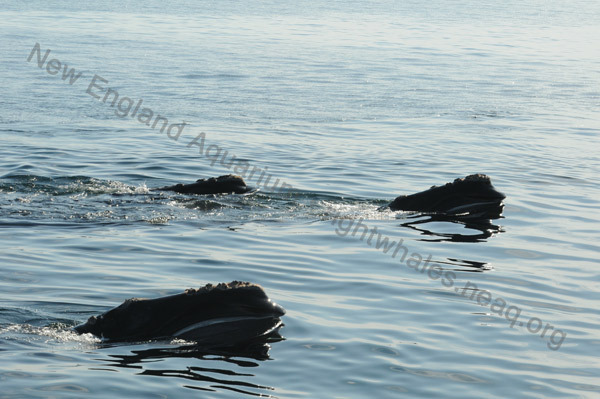 Because the water was glassy we could easily count more than 50 right whales. We did photograph them from 2500 feet. Also saw a Cessna 182 Skymaster with camo paint/orange stripe on the top surface of the wing circling a boat that was trailing a moving whale by about 100 feet. I was curious if that was a research vessel. The aircraft was 1200 feet below us.